Mahindra cars in India have been successfully topping the list of SUV from 7 years after the launch of XUV 500. 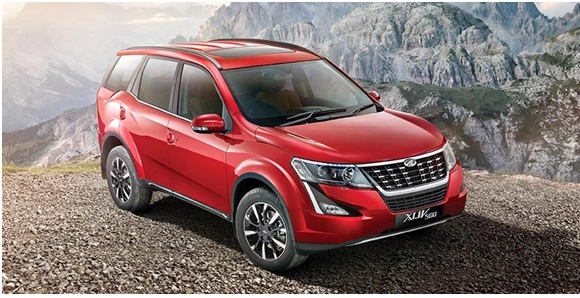 Now Mahindra is ready to give tough competition to other competitors as in April has launched new variants of Mahindra XUV 500 in the market with much powerful petrol and diesel engine. The Mahindra XUV 500 price starts from Rs 12.50 lakhs and here is the list of Mahindra XUV 500 variants. This Mahindra XUV 500 variant offers a diesel engine of displacement 2179 cc mHawk diesel engine and 6-speed manual transmissions. This engine produces a power of 150 bhp at 3750 rpm with a maximum torque of 360 Nm at 1700 to 2800 rpm. This variant claims a mileage of 14 kilometres per litre and price starts from 12.64 lakhs for ex-showroom, Chandigarh.